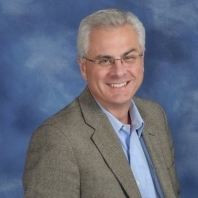 Pastor David has served as Senior Pastor of Edgewood Baptist Church since 2011. He holds degrees from Tabernacle Baptist College (Th.B. ), Luther Rice Seminary (MA. ), Liberty University (M.Div.) and Southeastern Baptist Theological Seminary (D.Min). He has pastored churches in South Carolina, Virginia, and West Virginia. Pastor David and his wife Amanda are blessed with two children, Dave and Lindsey.